Although they played a significant part in the Allied victory in the air in World War II, the Typhoon and Tempest series of fighters have passed largely unsung. This book sets out to rectify that omission, plotting the course, with all its many disappointments, of the inspired Sydney Camm design which started off just before the war as the Tornado and finished up after hostilities as the Fury, the fastest prop-powered fighter in the world. The early days of Typhoon development were trying ones for all concerned at Hawkers and the many other aircraft companies involved. There was severe mechanical trouble with the engine; there was a structural fault that caused tails to snap off, and then the Air Ministry wanted to cancel the project because it failed to meet its design specification as a high-altitude fighter. 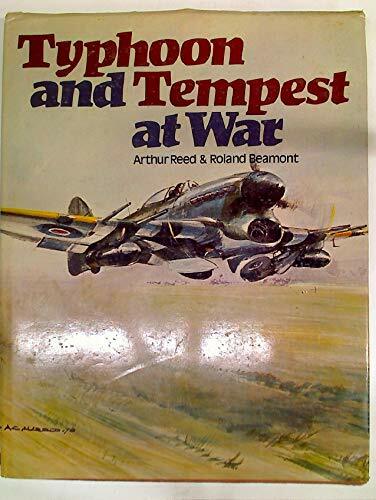 But championed by Roland Beamont, co-author of this book, and a few others who had faith in it, the Typhoon became one of the most potent weapons of air assault when Britain began to go on the offensive against Nazi Germany. And in the Tempest, which developed out of the Typhoon, Britain found a timely shield against the V1s when these pilotless flying bombs were raining on London.